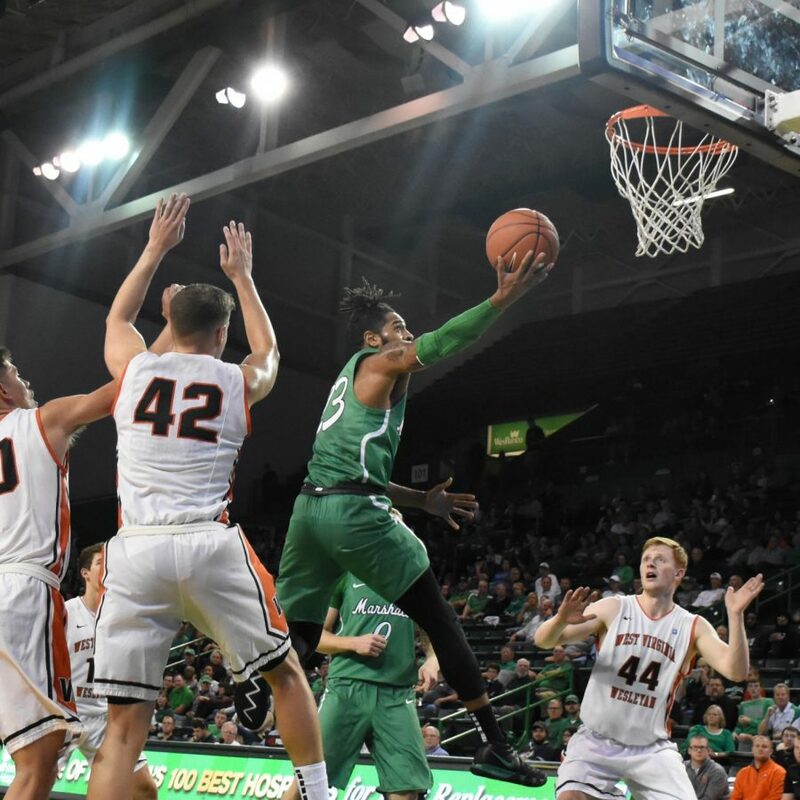 Marshall senior guard Rondale Watson elevates through WV Wesleyan defenders for a finger roll layup. Watson scores nine points with five rebounds and two assists in the contest. 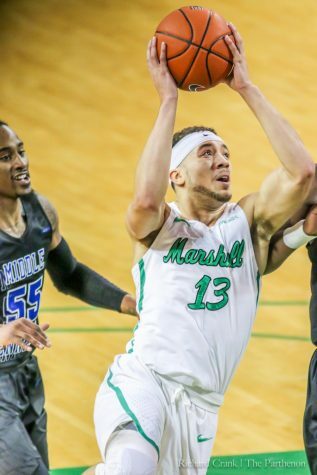 The Marshall men’s basketball team defeated West Virginia Wesleyan 83-65 Thursday at the Cam Henderson Center in its final exhibition game of the season. 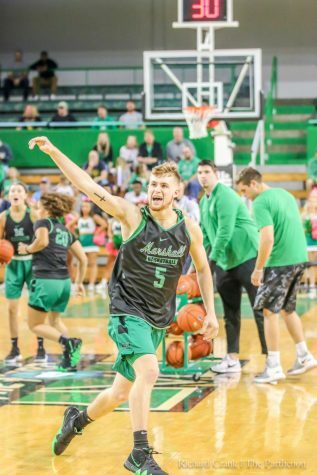 Marshall’s shooting struggles continued Thursday. 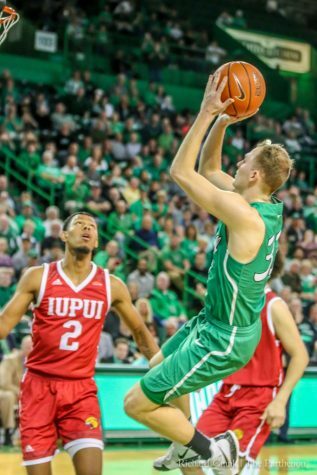 In the first half, the Herd shot 18-of-39 (46 percent) from the field and 1-of-19 from three-point range. 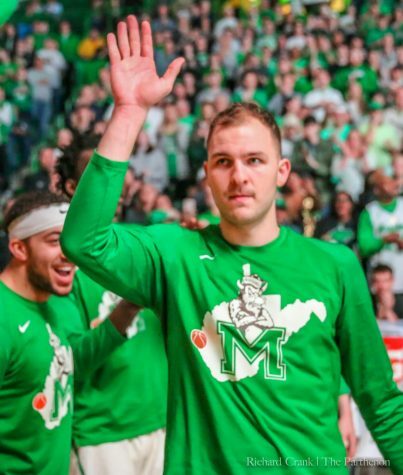 Overall, Marshall shot 46.6 percent from the field and 15.2 percent from beyond the arc. 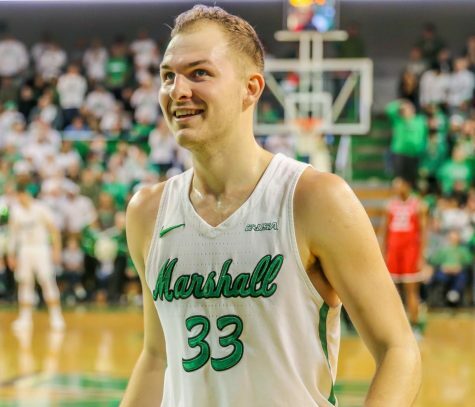 While the three-point shots didn’t fall for Marshall, the Herd’s press-style defense prevailed and forced 24 Wesleyan turnovers. 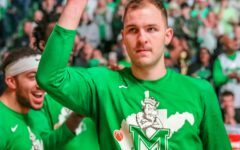 Marshall scored 23 points off turnovers. 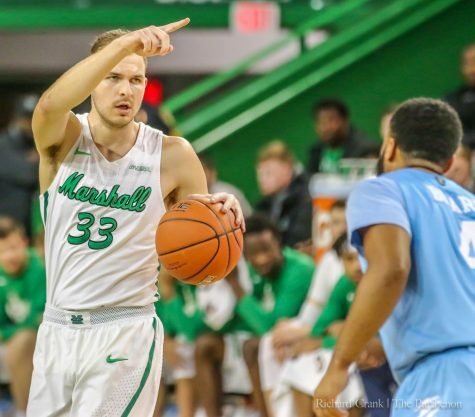 Marshall head coach Dan D’Antoni said the Herd plays good defense. 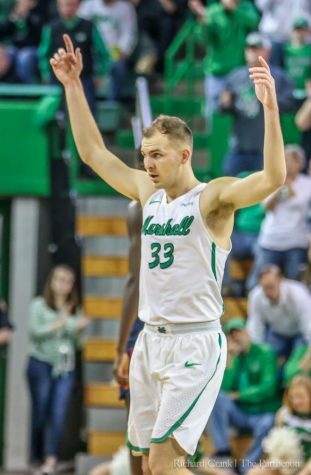 Leading 39-26 at halftime, Marshall’s shooting slightly improved in the second half and the Herd cushioned its lead. D’Antoni reflected on how having a deeper bench will help the Herd’s upcoming season. Senior guard C.J. Burks and freshman guard Taevion Kinsey led the team in scoring with 10 points each. 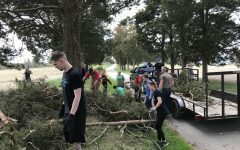 Elmore, senior guard Rondale Watson, and sophomore forward Mikel Beyers all followed with nine. Elmore had nine assists and freshman forward Cam Brooks-Harris ended the night with seven rebounds. 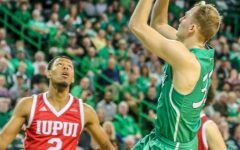 The Herd will travel to Richmond, Kentucky, next week and begin its regular season schedule against Eastern Kentucky. 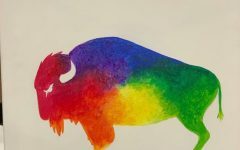 Tipoff is Wednesday at 7:00 p.m.